Gartliston Fireclay Works, Glenboig, Lanarkshire. Building bricks at Garscadden Works, Drumchapel. 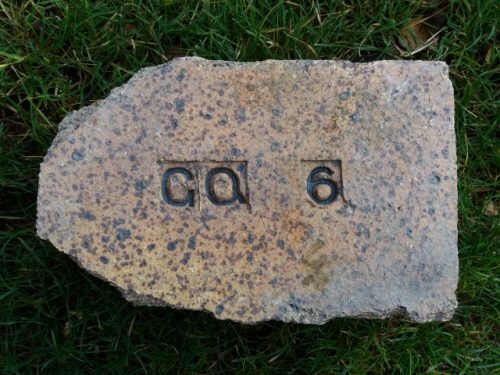 Found by Ian Suddaby at the old Ormiston Colliery, East Lothian. This is not in my possession. 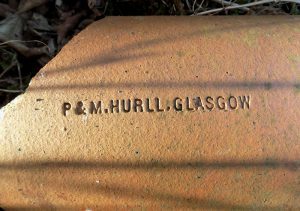 The stamp is on a broken section of salt glazed piping with an approx internal diameter of 10″ Garnqueen Fireclay Works, Glenboig, Lanarkshire. Alternative brickworks include: Gartliston Fireclay Works, Glenboig, Lanarkshire. 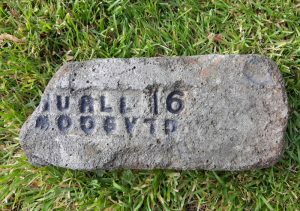 Building bricks at Garscadden Works, Drumchapel. .
Found by Eddie McLean in the Glasgow area. Garnqueen Fireclay Works, Glenboig, Lanarkshire Alternative brickworks include: Gartliston Fireclay Works, Glenboig, Lanarkshire. 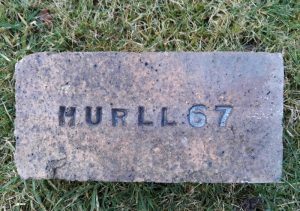 Building bricks at Garscadden Works, Drumchapel. .
Found by Eddie McLean in the Glasgow area. Garnqueen Fireclay Works, Glenboig, Lanarkshire Alternative brickworks include: Gartliston Fireclay Works, Glenboig, Lanarkshire. 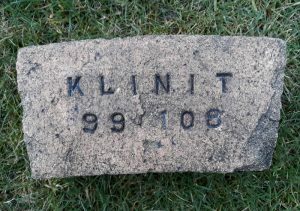 Klinit is a trade name for P & M Hurll . 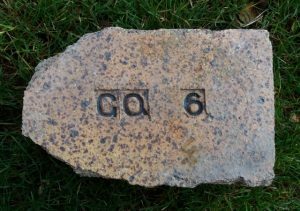 Found on the site of the old Calder Iron Works, Coatbridge. Garnqueen Fireclay Works, Glenboig, Lanarkshire Alternative brickworks include: Gartliston Fireclay Works, Glenboig, Lanarkshire. Building bricks at Garscadden Works, Drumchapel. Note the ‘H’ is larger than the following letters. Found by Ian Suddaby at Inverboyndie, Aberdeenshire. This example is not in my possession. Garnqueen Fireclay Works, Glenboig, Lanarkshire Alternative brickworks include: Gartliston Fireclay Works, Glenboig, Lanarkshire. Building bricks at Garscadden Works, Drumchapel. Found in the Ayrshire area by Tucker Kennedy. Garnqueen Fireclay Works, Glenboig, Lanarkshire Alternative brickworks include: Gartliston Fireclay Works, Glenboig, Lanarkshire. Building bricks at Garscadden Works, Drumchapel. 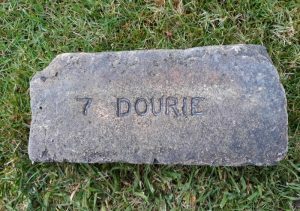 Dourie is a trade mark of P and M Hurll, Gartliston Brickworks, Glenboig. Found by Tucker Kennedy at Ardeer, Ayrshire. Note the thumb print to top right. Note ‘Glasgow’ has been stamped upside down and in mirror image. Garnqueen Fireclay Works, Glenboig, Lanarkshire. 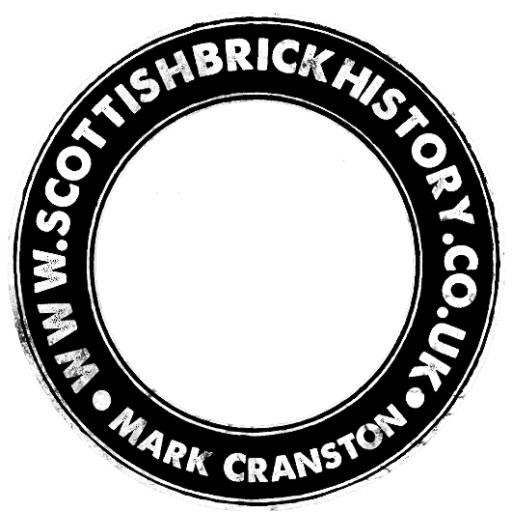 Alternative brickworks include: Gartliston Fireclay Works, Glenboig, Lanarkshire. Building bricks at Garscadden Works, Drumchapel. 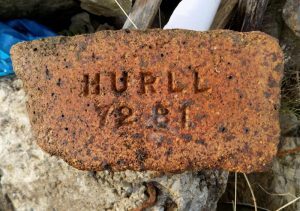 Found by Tucker Kennedy on teh Isle of Islay. 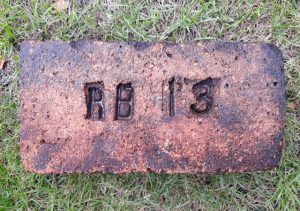 RB appears to be a Hurll mark but what does it stand for – possibly Refractory Brick? or possibly the initials of a customer? Garnqueen Fireclay Works, Glenboig, Lanarkshire Alternative brickworks include: Gartliston Fireclay Works, Glenboig, Lanarkshire. Building bricks at Garscadden Works, Drumchapel.